1915. A year that saw the birth of Sir Stanley Matthews and Frank Sinatra, and the death of W.G. Grace; also a time of great darkness as World War I raged around the globe; George V was on the throne and Herbert Asquith was the British Prime Minister. Hard days for British citizens as the War and its consequences seemed to have no end in sight. to be the third worst tragedy in the history of British coalmining. Nine members of the band were killed, and the nature of the event shook the band and the entire community to its roots. The band survived, however, and regathered. Its success at that time, including a famous ‘double- double’ in 1906/07 under William Rimmer, had caused its public profile to sky-rocket and it was certainly considered to be ‘big box office’ material. 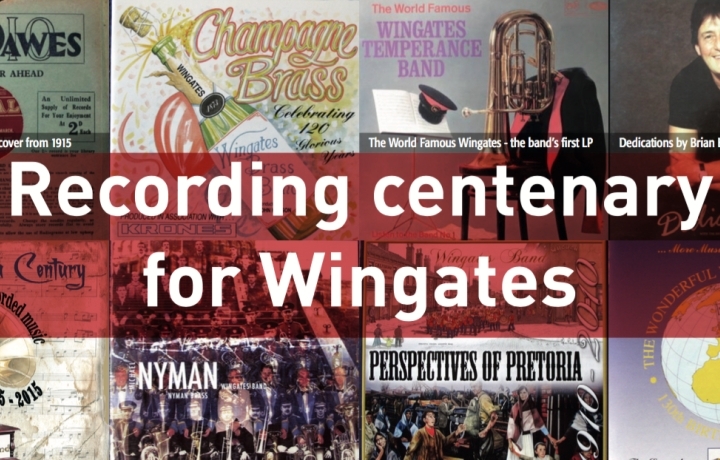 Although, Black Dyke and Besses bands had been recording since 1903 and 1904 respectively, it is somewhat surprising that it took another eight years after the famous quadruple wins for Wingates to enter the realms of recorded music.